This Saturday Major League Baseball will announce the selections to the 2013 All-Star Game that will be played at Citi Field on July 16th. This is always a rough road if you are a Kansas City Royals fan, as for years we can expect just one selection to the game, and sometimes it’s not even someone we want to cheer for(I’m looking at you, Mark Redman). In fact 2003 was the last year that the Royals had more than just one selection. A full listing shows that before Billy Butler was chosen last year, the Royals hadn’t even had a position player get selected since Mike Sweeney in 2005. To say we’ve had some lean years would be an understatement. So with the selections just a coupe days away, let’s look at some possible selections for the Royals and what the odds are they will get selected. Also, make sure Smash Mouth is running through your head while you read this. A month ago, this seemed like a lock. 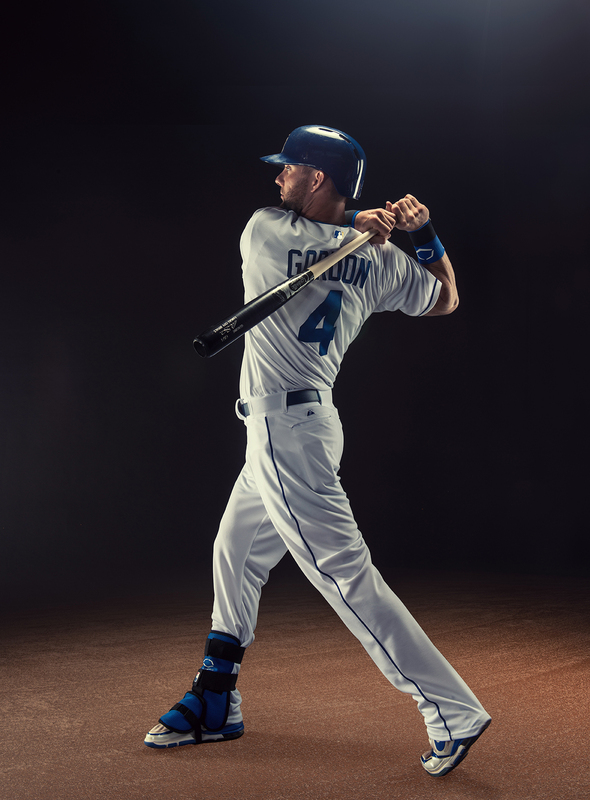 Most of us are aware that Gordon has been one of the most underrated players in baseball. Most of us can agree that A1 should have been selected for the All-Star Game back in 2011. Instead, Gordon is still searching for his first appearance, and this really seemed like the year it could happen. That is if the last month hadn’t been such a train wreck. While the Royals shook up their coaching staff and paid more attention to struggling youngsters Eric Hosmer and Mike Moustakas, Gordon numbers took a taildive. The fact that his numbers are still pretty good are a sign of just how good of a season Gordon was having. Gordon was so far ahead of the rest of the team statistically that it almost seemed like as long as we had Alex, anything could happen. A month later and now there is a big question mark as to whether or not Alex will get selected for the mid-summer classic. Like last year, when Billy Butler seemed deserving just as much on past play as his play in the first half of the season, Gordon should be selected just as much on his consistency over the last few years. I would say at this point there is still a chance Alex Gordon could be the Kansas City Royals All-Star selection. He hits. He throws. He leads the pitching staff. He blocks balls that no one else should even be near. He can jump buildings in a single bound…okay, maybe not that last one…I think. Salvador Perez might be the most complete Royal in a long, long time. As much as experts have touted Hosmer over the last few years as being a building block of this franchise, Perez is THE building block of this and future Royals teams. Perez’s argument for an All-Star selection is easy to see, but his biggest problem won’t be a slump, or even him missing some time due to a death in the family. No, Salvy’s biggest detriment against him going to Citi Field this month is who else could be picked behind the dish for the American League. Joe Mauer looks like he will get the fans vote. There is a good shot that Baltimore’s Matt Wieter’s will get in, and even a chance that Cleveland’s Carlos Santana could be an All-Star selection. If you counting on your fingers, that is three possible American League catchers on this team, and I highly doubt they will go for a fourth. Hey, there is still a chance Perez could get picked; he is not the secret he once was around baseball. Baseball people have noticed how good Salvy is and realize how good he is going to be for the forseeable future. But he might have to wait one more year. 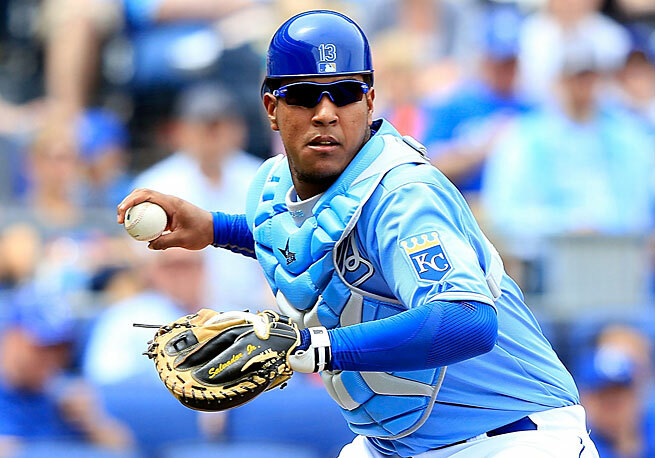 So we could see Salvy come July 16th; but don’t be surprised if he barely get’s passed over. I know, I know. 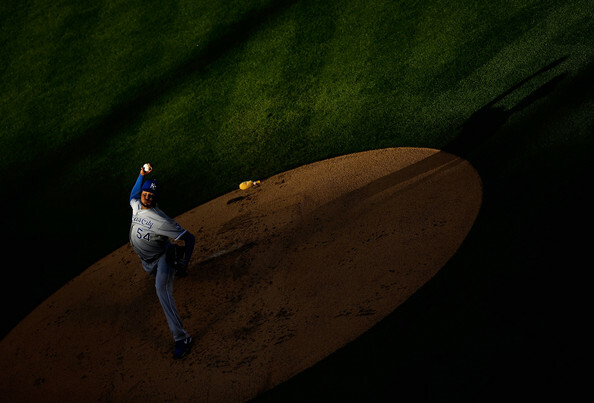 The numbers just aren’t really there for James Shields. Actually, he is the perfect example of how the ‘wins’ statistic is an overrated stat. The Royals so far just haven’t been very supportive of him offensively. The numbers stress that fact. But most of us Royals fans can agree that Shields has probably been the best pitcher on the revamped Royals pitching staff. When you consider that Shields pitched with a lead last week against Minnesota, it was the first time since April he had pitched with a lead of more than one run. One run. Shields has been as hard luck as they come. So despite the lack of run support, he is still worth being mentioned as a possible All-Star. He has pitched like the ace the Royals wanted him to be, and he has kept this team floating around .500 like they were hoping to be. Players and coaches can look past won-loss records if you are pitching magnificiently. Just ask Zack Greinke of 2009. Shields would be another case and I wouldn’t be shocked at all to see him selected for this year’s All-Star game. When Dayton Moore acquired Ervin Santana last winter, who would have thought he was in the conversation for an All-Star selection? Raise your hands. Not so fast, slap-nuts. Very few could have seen this coming. In fact I thought he would be injured by now. Goes to show you what I know. But Ervin has pitched above and beyond what we all expected, and has been a big part of why the Royals are still in the conversation in the American League Central. Santana has dealt with run support issues like Shields, but it hasn’t deterred him as much. Santana has averaged 7 innings a start this year and no one would have seen that coming as well. When it comes down to it, Santana has just as good a case for selection here as Shields. In fact, I am willing to say I think there is a great chance Ervin will be the selection for the Royals this year. If so, it will be a bonus for the Royals. If this happens, I can easily see Kansas City shipping him off at the trade deadline, flipping him for a bat in the outfield. Santana’s stock goes up if he is selected, and that might just be another reason why you could see him in New York on July 16th. Remember that first week of the season? Remember all the “Royals fans” who wanted Holland gone? This is why that never happened and why certain “fans” should never be allowed to make decisions like that. Outside of that first week and a few very small hiccups, Greg Holland has been lights out for the Royals. Like insanely lights out. Go ahead, look at the strikeouts per 9 number. 15.1!! 31 innings, 52 strikeouts. I believe we call that dealing. Holland has been the steady closer the team has needed this year out of the pen, and the team has been rewarded for their patience. With those numbers, no one could blame Jim Leyland for picking him for the All-Star game. In fact, reading those numbers now makes me want him picked. Holland has made lots of fans ask ‘Joakim who‘ and showed why it was okay to let him leave this winter. Managers love relievers on the smaller teams for their All-Star selection, so I wouldn’t be shocked to see number 56 at Citi Field in just a few weeks. 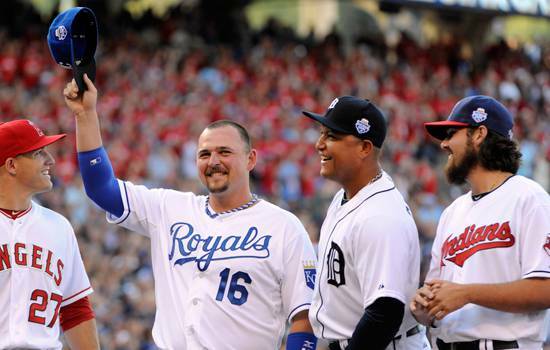 Sure, this All-Star game won’t mean as much to Royals fans, just because it isn’t in Kansas City. But it would still be a nice treat if more than one Royal could get selected. I tend to think it won’t happen, but there is an outside chance it could. It’s nice to know I can compile a list of five guys off this team that could have serious consideration. Tell me the last time that happened? Hopefully they’ll do the Royals justice and we’ll see more than the one selection at the mid-summer classic. Oh, and before I forget–to quote the band Smash Mouth: “all that glitters is gold, only shooting stars break the mold.” Then again, don’t listen to them; they also have the lyrics “your brain gets smart but your head gets dumb.” Idiots. It’s too bad Gordon had to go crashing into that wall the other day. Even if he gets selected, no telling if he’ll get to enjoy it. I thought about mentioning that, but I wanted to wait and see if he even got put on the 7-day DL. Not in the lineup tonight but that could just be a precaution. I still kind of hope he gets selected.